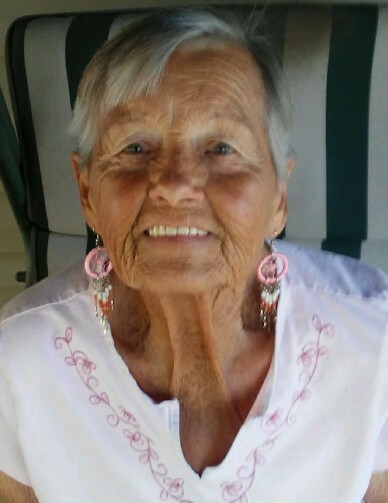 Beverly Gillett Shields passed away at the age of 79, peacefully surrounded by family January 12, 2019 in Pine Canyon, Utah. Beverly was born October 17, 1939, to Jack and Lois Gillett. She was the second child out of nine brothers and sisters. She married Van Shields June 28, 1969 in Elko, Nevada. She is survived by her husband Van. Children; Brenda and Larry. Step children; Dal, Corry, Kristie and Julie. She is also Survived by 14 grandchildren, and 9 great grandchildren. Brother Ray, and sisters JoAnne, Diane, Patsy, and special dog; Libby. Preceded in death by daughter Carolyn, Grandchild Robin, Brother Paul, and Sisters Linda, Kaye Lynn, and Susan. Beverly loved camping and fishing, especially at Moon Lake. Beverly worked eight years at the Tooele Valley Nursing Home, and six years for Tooele County Aging Services. She will be deeply missed by all that loved and knew her. We would like to express our thanks and gratitude to CNS Hospice team. At Beverly’s request, no services will be held. A social gathering will be held: January 19, 2019 from 11am – 1pm at the Tooele East Stake Center, 752 North 520 East Tooele, Utah.